In last week’s blog post, I talked about the downside of hormonal birth control, specifically the pill. While the pill provides awesome sexual freedom, it does not come without its consequences and side effects. 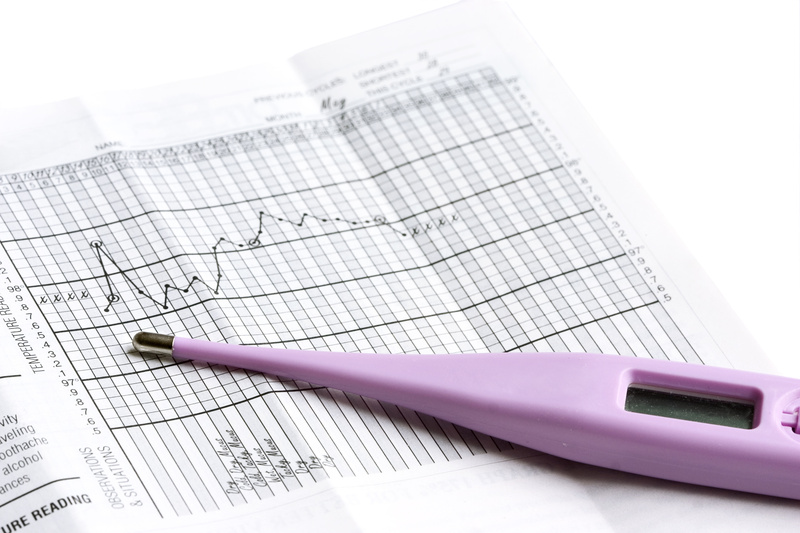 Finding a good form of non-hormonal birth control can be challenging. And sometimes it feel like there are tons of options out there. One form of non-hormonal contraception that has been gaining a lot of popularity these days is the copper IUD. 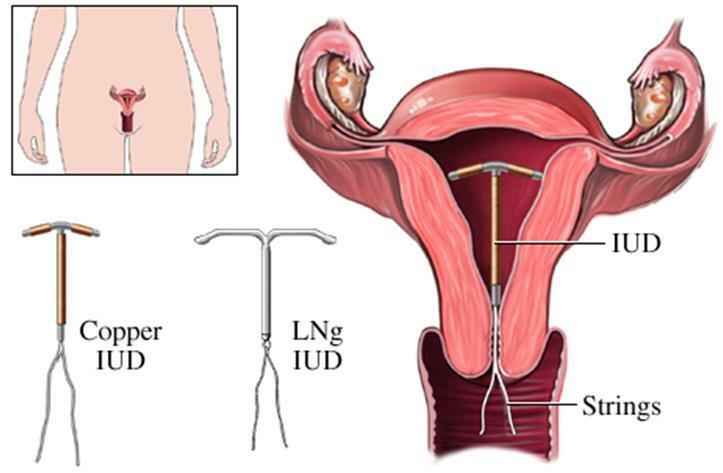 The Copper IUD is an intrauterine device that is inserted by a doctor into the uterus. A copper wire is wound around the stem of the t-shaped device. The device can stay in place for up to 10 years and has an effectiveness of 99.8%. The copper that is woven into the device interferes with sperm movement and prevents the sperm from fertilizing the egg. The IUD increases the amount of copper ions, prostaglandins and white blood cells in the uterus which interferes with fertilization. If fertilization cannot happen then pregnancy cannot happen. The copper also affects the transport of the egg out of the Fallopian tube and the copper that leaches out of the IUD makes the uterus less suitable for implantation and pregnancy. The IUD does not protect against sexually transmitted infections. 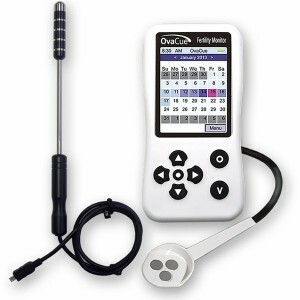 Once inserted nothing needs to be done except a monthly self-check to make sure that the strings are in place and that the device has not shifted. It is 99.8% effective against pregnancy. Less than 1 in 100 women a year get pregnant using the copper IUD. You can take it out whenever you want by just visiting your doctor. Ovarian Cysts. There is some evidence that suggest the copper IUD may increase your risk of developing ovarian cysts. Heavier & More Painful Period The increase in prostaglandins (which are pro-inflammatory) can dramatically increase inflammation during menstruation. This means that a women may experience increased menstrual cramping and heavier bleeding during her period. This is one of the main reasons women decide to remove their IUD. It can cause a lot of discomfort. But for many women this subsides after 3-6 months with the IUD. In some cases the copper IUD can spontaneously expel itself from the uterus. Expulsion rates vary from 2.2 – 11.4 % depending on how long she has had the device in her body. Irregular bleeding can occur as well as spotting between periods. This occurs more frequently during the first 3-6 months and less frequently thereafter. Pelvic Inflammatory Disease. This is a bacterial infection that may lead to infertility, chronic pelvic pain and ectopic pregnancy. The good news is that the risk is small and only exists within the first 21 days of insertion. The risk is likely related to the presence of pre-existing gonorrhea and chlamydia at the time of insertion. In rare cases, the IUD can move through the wall of the uterus and damage other internal organs. Sometimes surgery is needed to remove it. The risk is very low, about 1 in 1000 insertions, and is usually related to the skill of the doctor performing it. Although pregnancy is rare on the copper IUD, if it does occur, the risk of ectopic pregnancy is high. This occurs when the embryo implants somewhere other than the uterus, such as the fallopian tubes. In the case of an ectopic pregnancy, the embryo has little chance of surviving. This is one aspect of the copper IUD that is not often discussed among the medical community. As a nutrition practitioner who has run many Hair Tissue Mineral Analysis’ on women using this form of contraception, I have seen excessively high copper levels in many women using the copper IUD. The copper IUD may not cause copper toxicity in itself but if you are also exposed to copper from other sources then it can build up and cause an excess in your system. Other sources that can contribute to copper toxicity include: public swimming pools. copper pipes, copper cookware, inorganic mineral supplements, dental crowns, beer and a vegan/vegetarian diet that is high in copper containing foods. If your liver is congested or struggling to deal with other toxins, it may be inefficient at removing excess copper from the body. This can lead to a buildup of copper. While copper is needed in certain amounts it can cause negative symptoms if it builds up. Another way that too much copper can affect the body has to do with zinc. Zinc and copper compete for absorption in the body. Too much zinc can drive copper down and too much copper can cause zinc deficiency. Zinc is a crucial nutrient needed for immune system function, cell division, cell growth and the healing of wounds. Zinc deficiency can cause weak immunity, diarrhea, acne, leaky gut and thinning hair. Excess copper can also lower iron levels, increase vitamin A levels, aggregate B vitamin metabolism and increase estrogen levels. High estrogen levels can also cause the body to retain copper. Improve Liver Clearance. Give your liver some love so that it can better deal with excess copper in the body. Eat liver friendly foods like asparagus, watercress, turmeric, grapefruit and dandelion. You may also want to take a liver support supplement like milk thistle. Increase your Consumption of Zinc. Foods that are high in zinc include grass-fed beef, pumpkin seeds, shellfish, lamb and cashews. You might also want to consider a high quality zinc supplement, especially when digestion is an issue. Choose a chelated form for best absorption like zinc gluconate. Reduce your Exposure to environmental copper like copper pipes, cookware, swimming pools and high copper foods. Reconsider your Vegan Diet. Meat products are full of zinc and little copper and plant foods, especially soy, beans and legumes, are full of copper and little zinc. While using the copper IUD it may be a good idea to include more animal products in your diet and cut down on high copper containing foods. Get your Mineral Levels Checked. After 3-6 months on the copper IUD, I recommend running a Hair Tissue Mineral Analysis to detect early build-up of copper. Get your Hormones Checked. If your estrogen is too high, then there is a high possibility that your body is retaining copper rather than eliminating it. You may also want to see if the copper is driving up your estrogen and causing estrogen dominance. Improve Stress Levels. Chronic stress uses up the body’s zinc stores quickly. By improving your stress levels you can increase your zinc and reduce copper toxicity issues. While the risks are small with the copper IUD, these are still risks that need to be considered. The chances are you will have a relatively good experience with this form of contraception. But the bottom line is that any small changes to your delicate hormone balance can cause symptoms. The important thing is to be aware of any new symptoms that pop up. While many doctors will tell you there are no emotional symptoms involved (since the copper IUD does not emit hormones), this is not true. There are many stories of women who experience feelings of doom, depression and moodiness while using the copper IUD. If you do decide to use the copper IUD, take steps to improve your nutrition, prevent copper toxicity and improve your zinc status. And more importantly, make an informed decision and decide whether the risks are worth the benefits. And if you have any experiences using the copper IUD, please feel free to share them below!